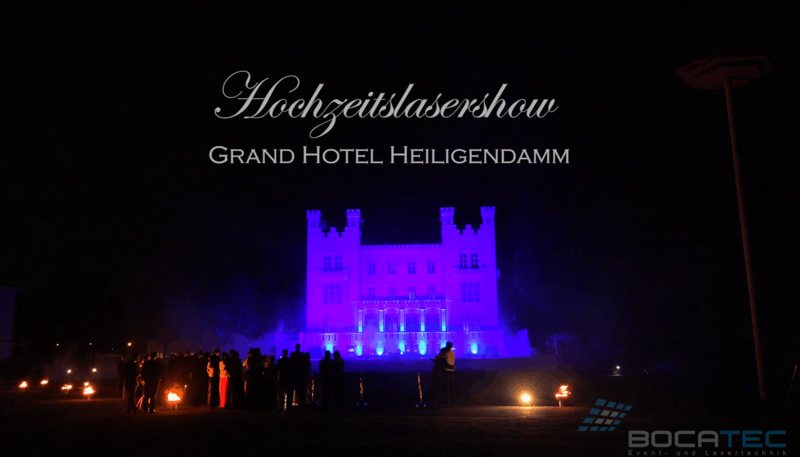 Heiligendamm, Germanys oldest seaside resort, is a place for very special occasions. 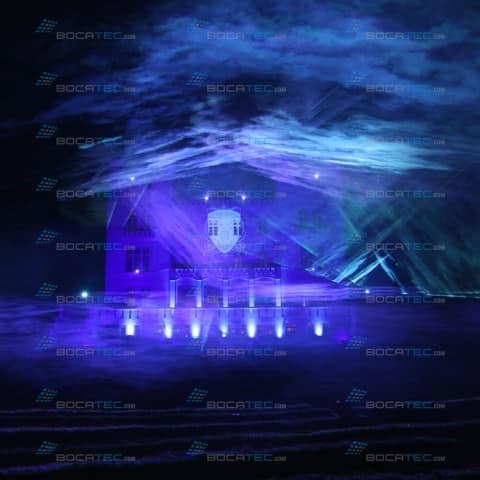 In this white city at the sea the happy couple said „Yes!” and later they presented their guests a top of the line marriage show. 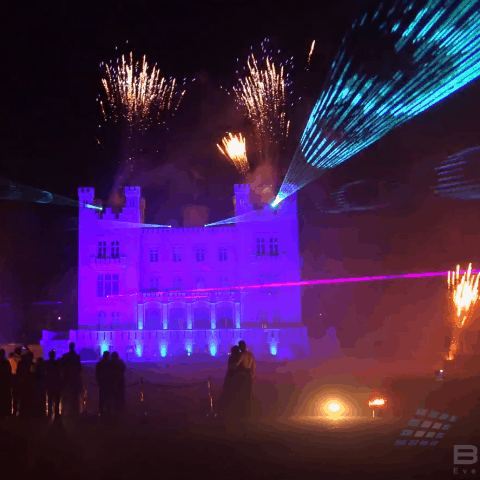 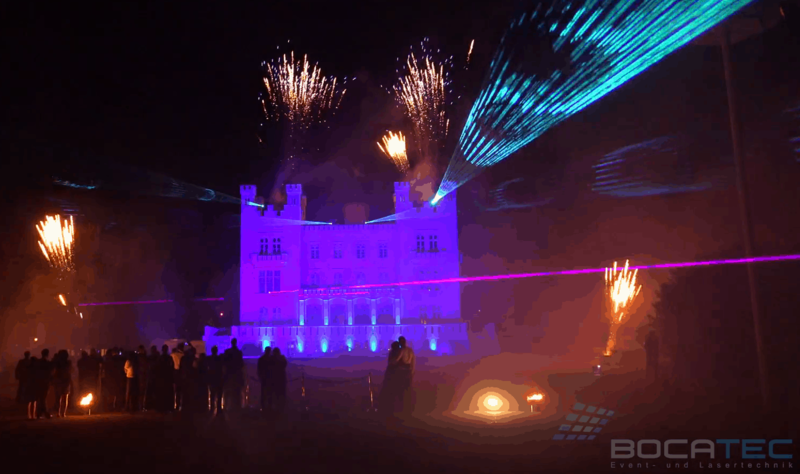 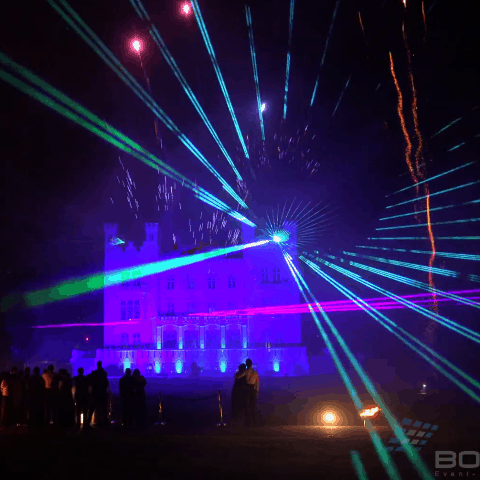 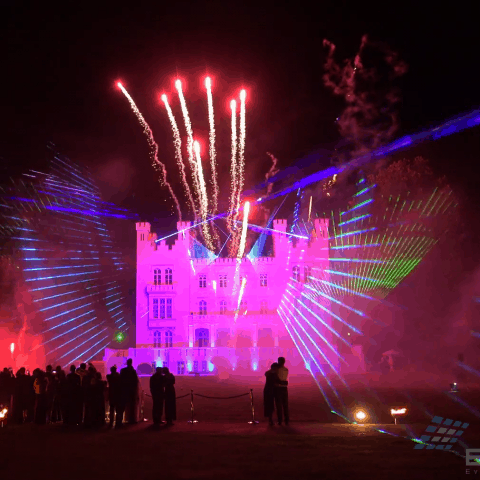 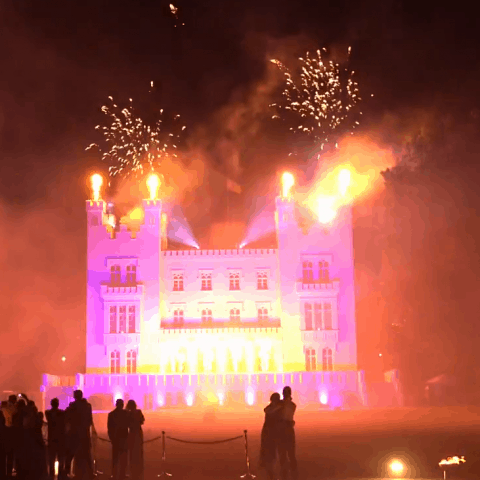 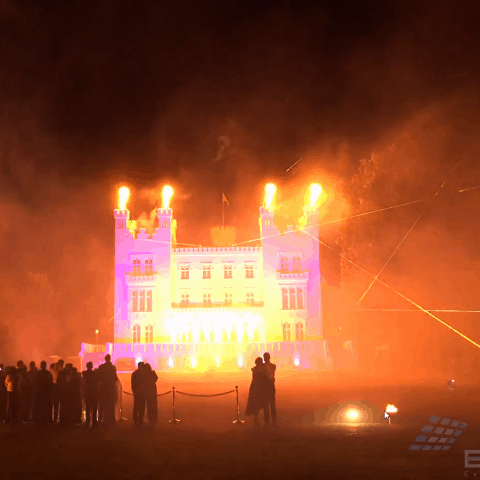 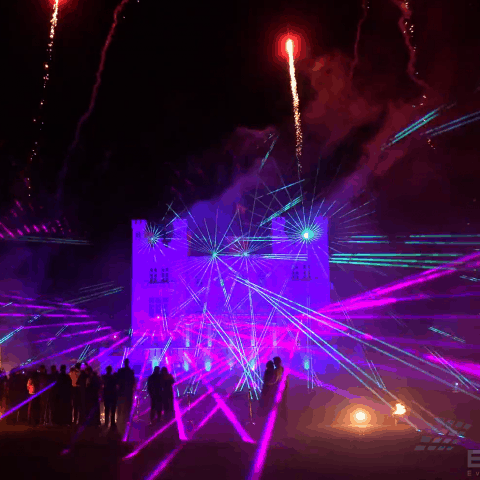 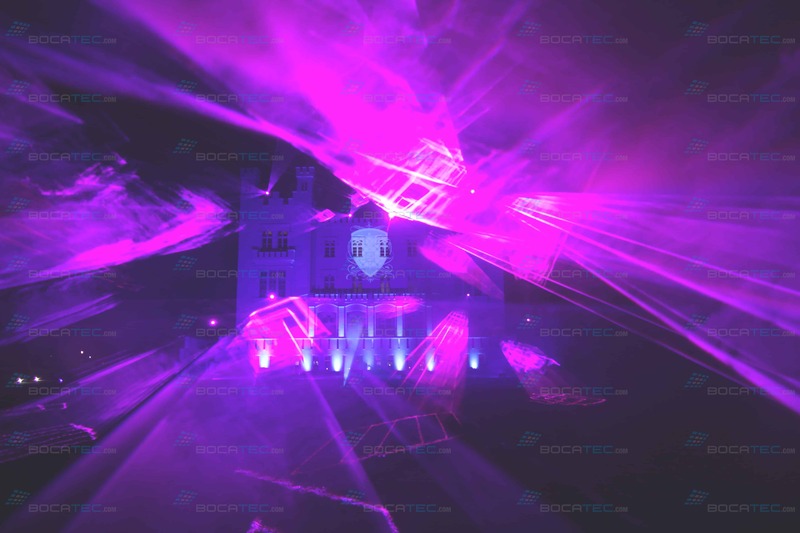 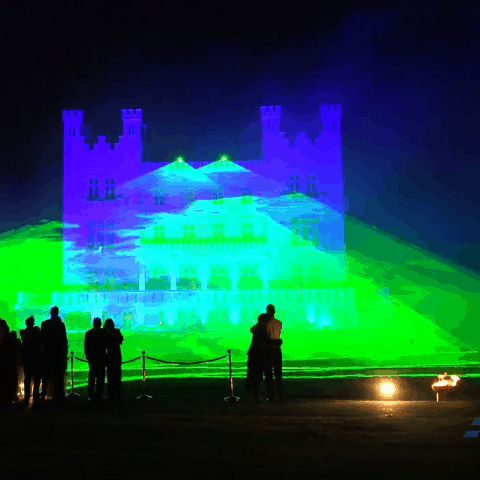 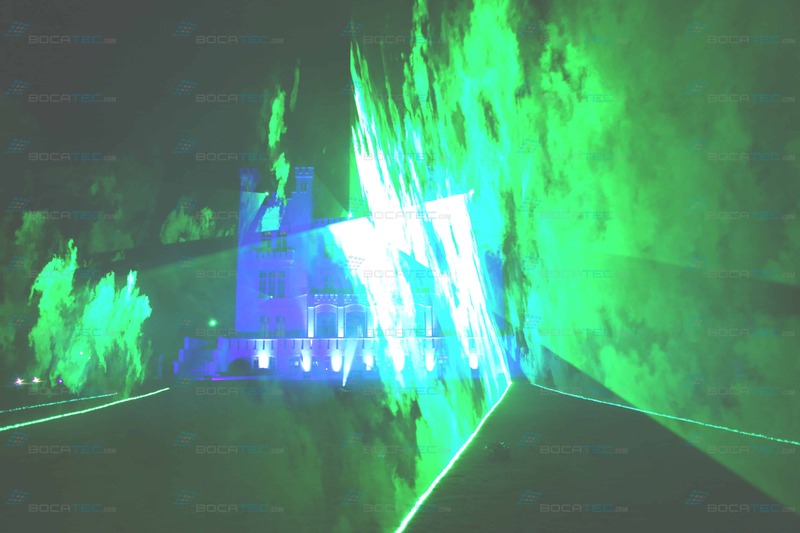 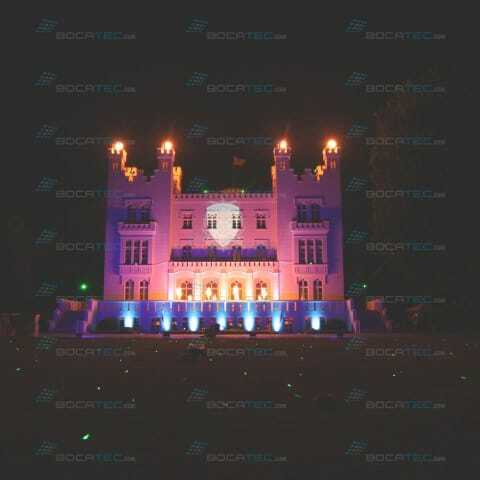 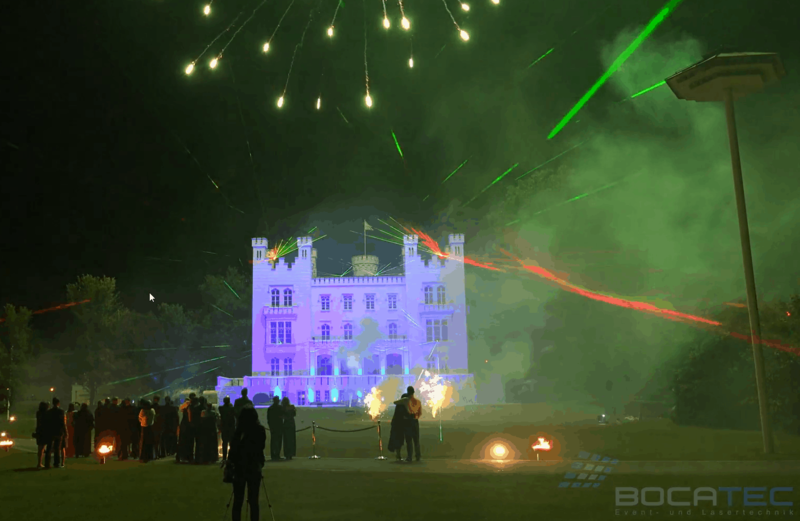 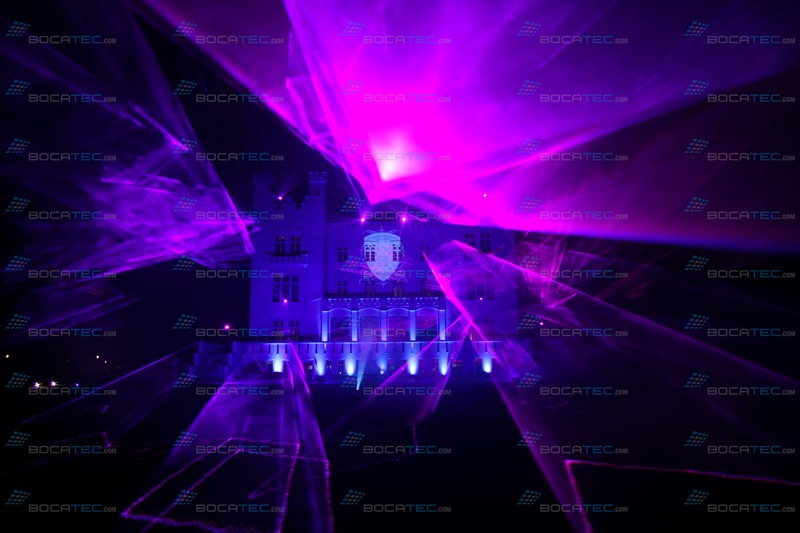 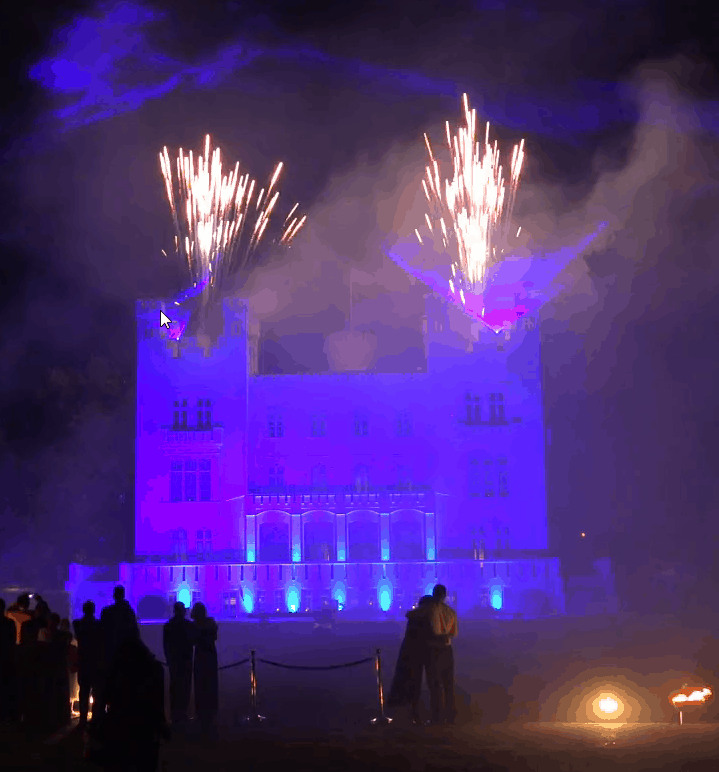 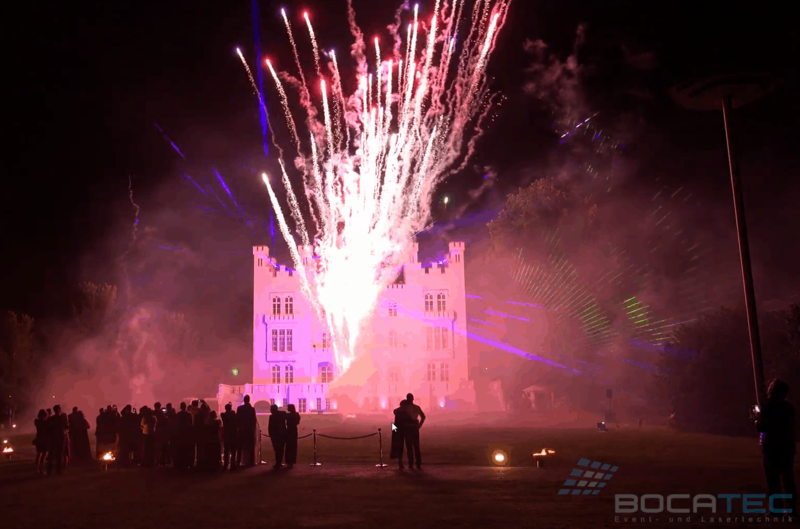 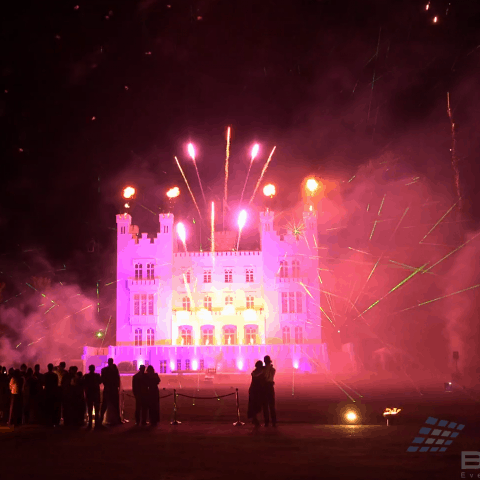 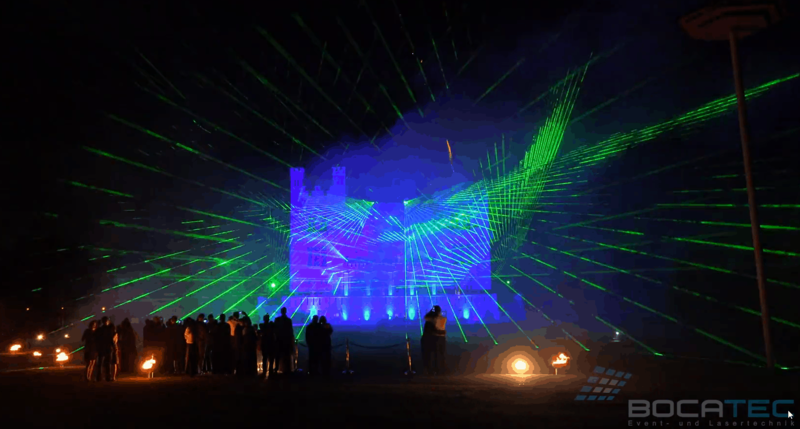 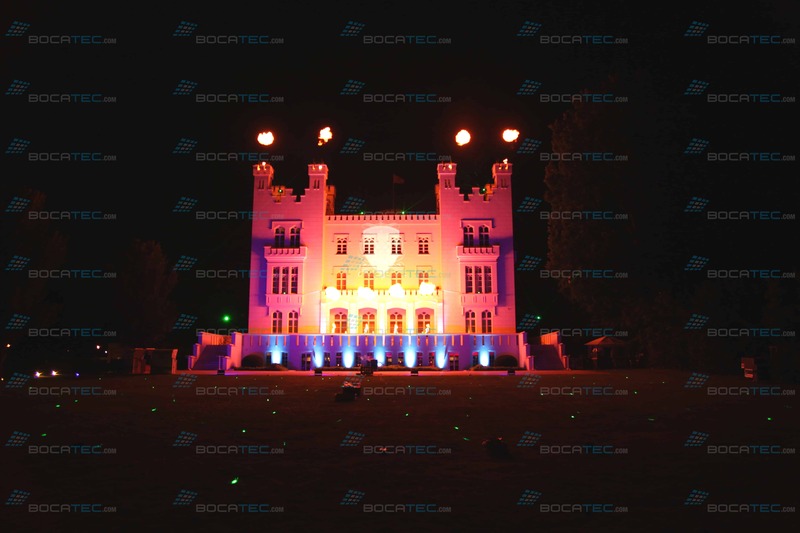 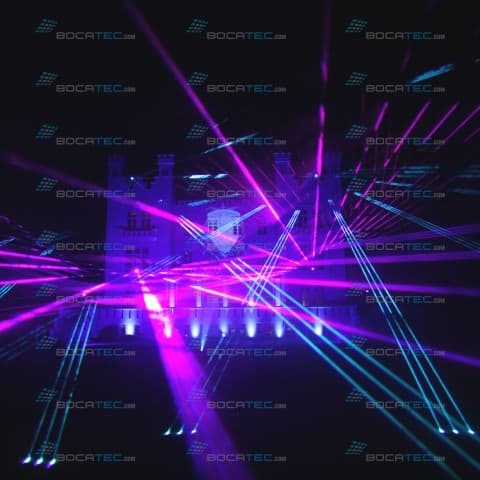 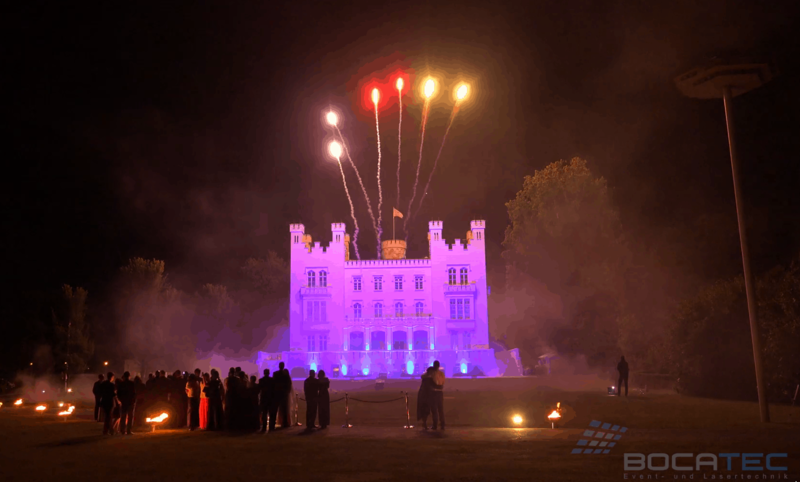 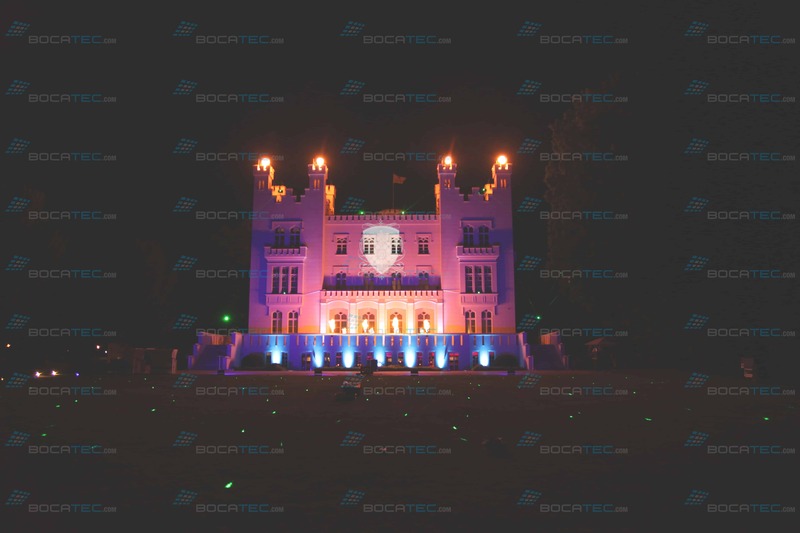 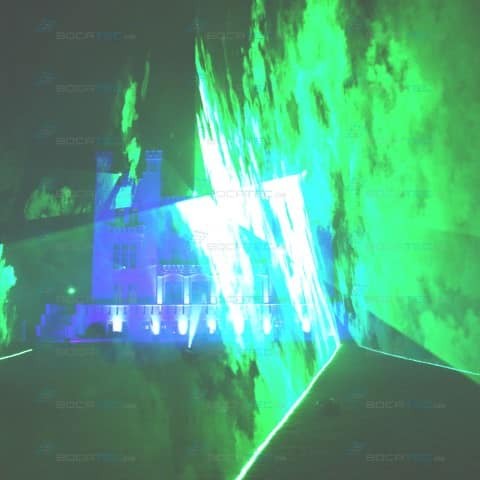 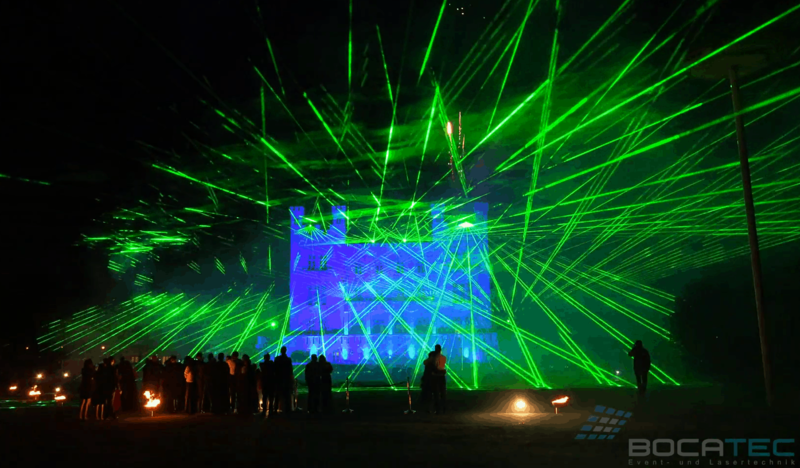 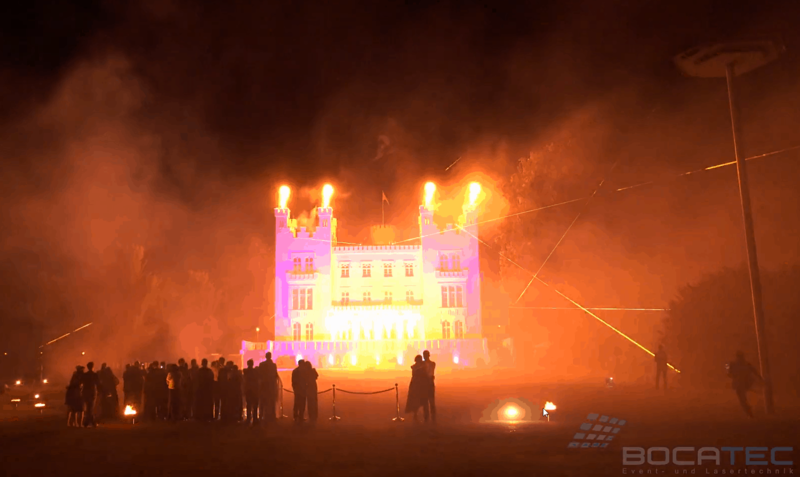 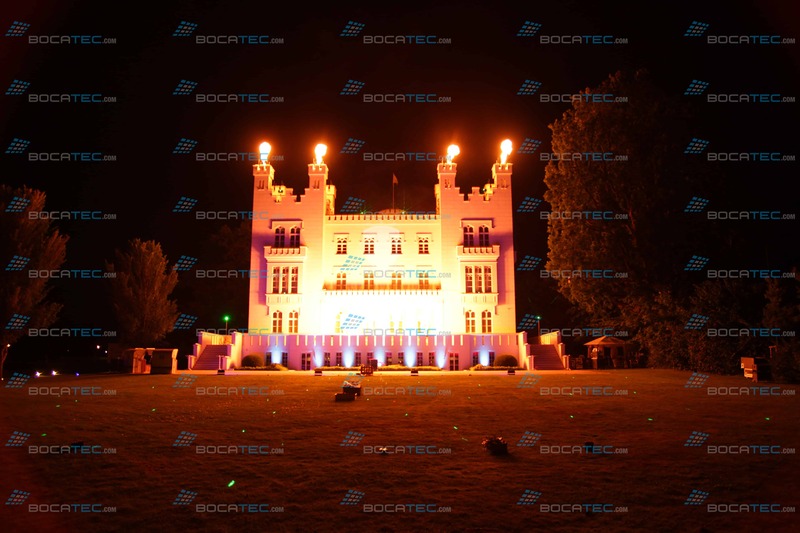 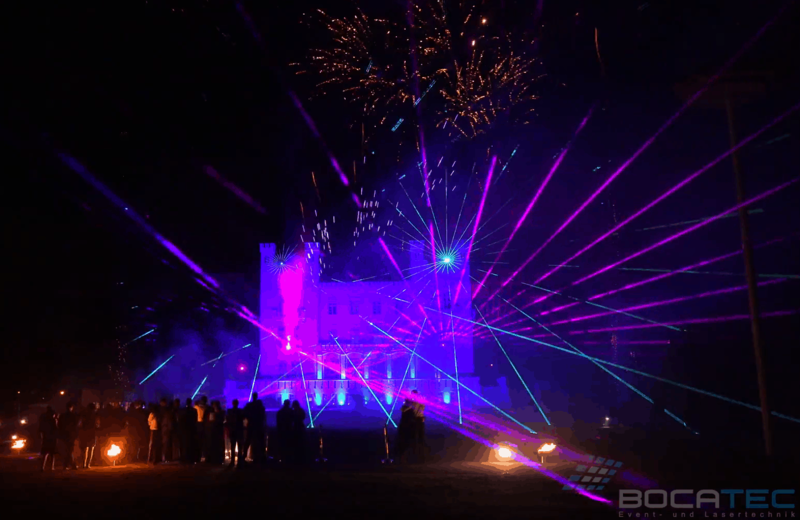 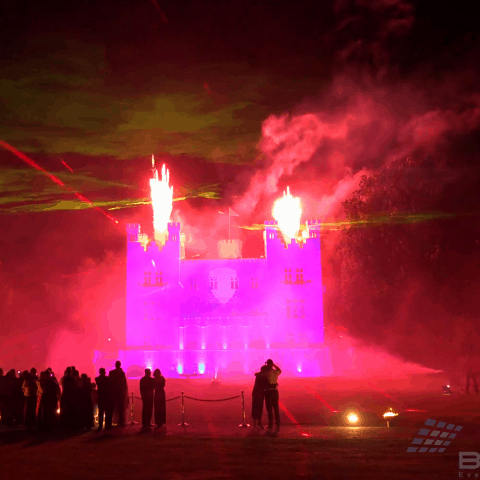 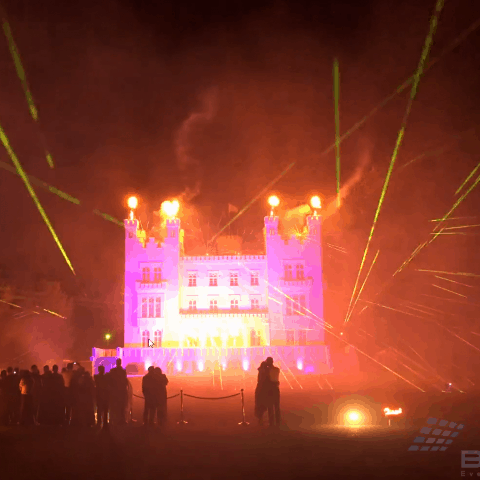 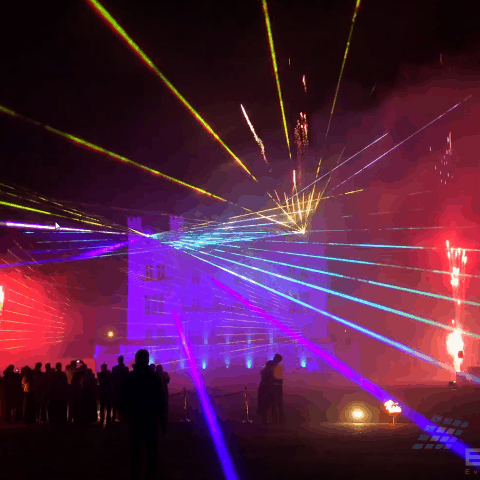 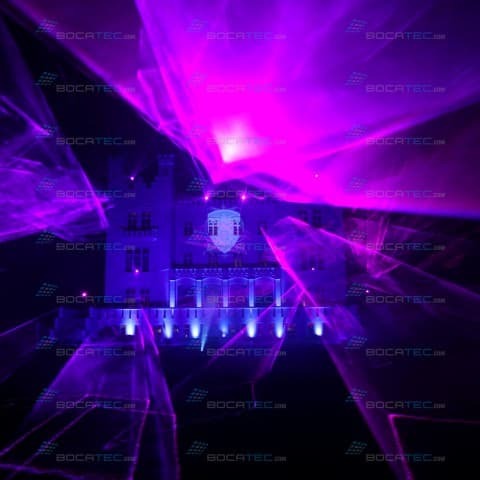 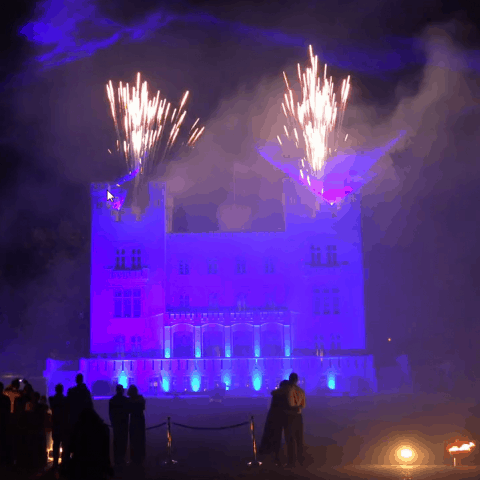 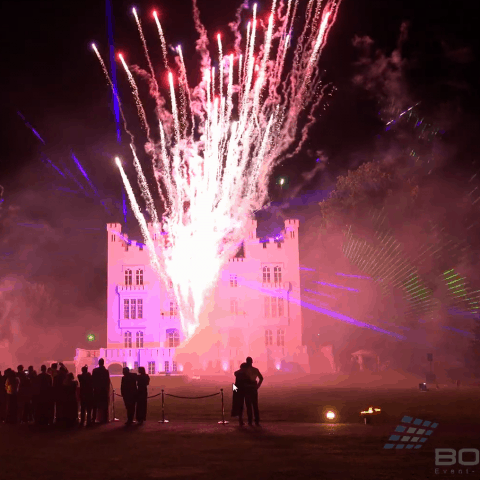 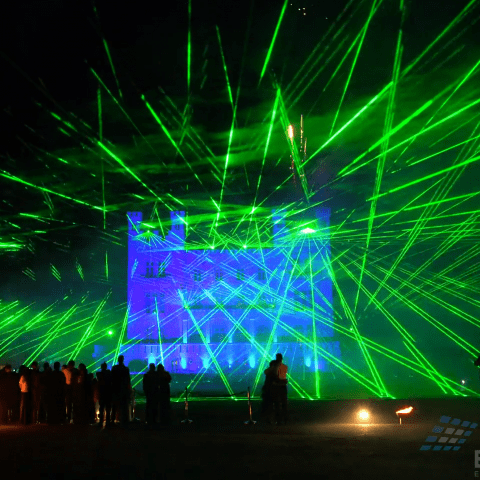 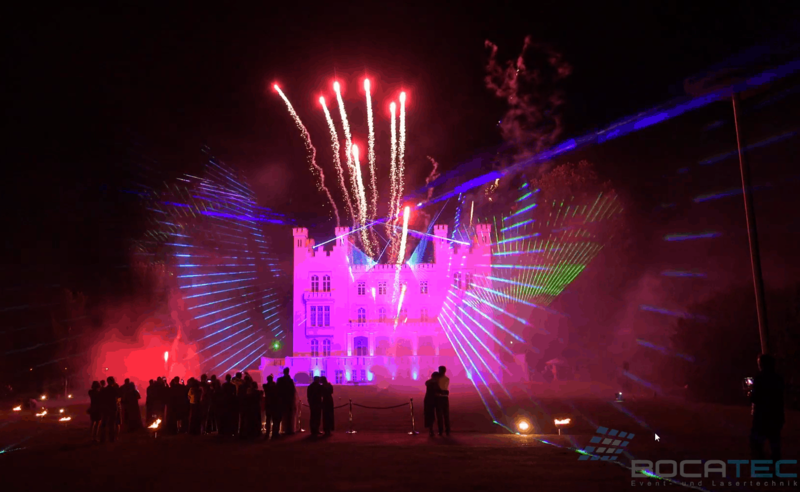 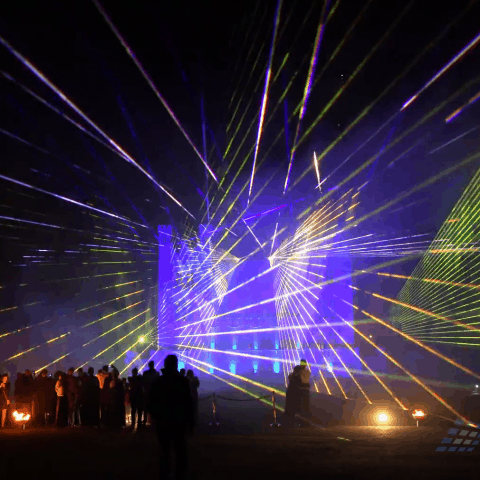 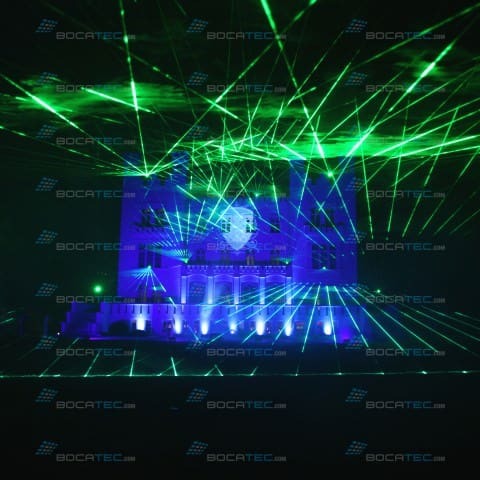 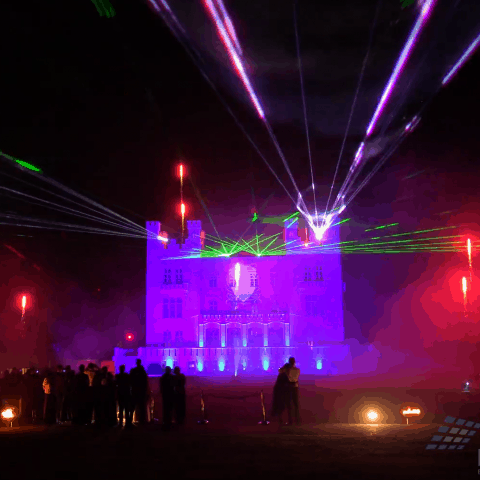 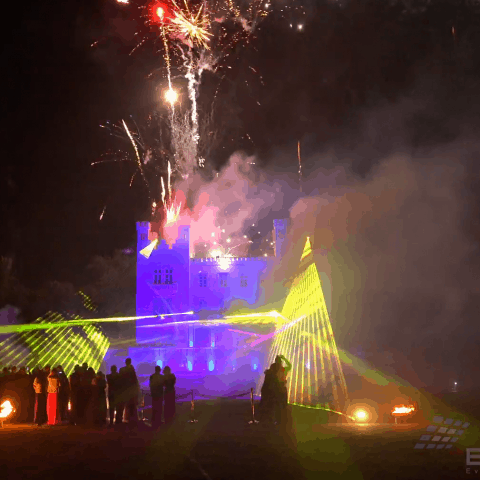 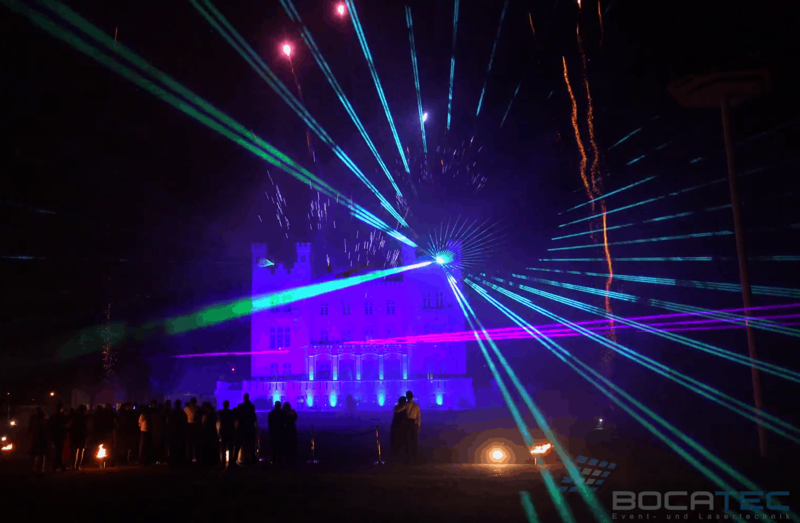 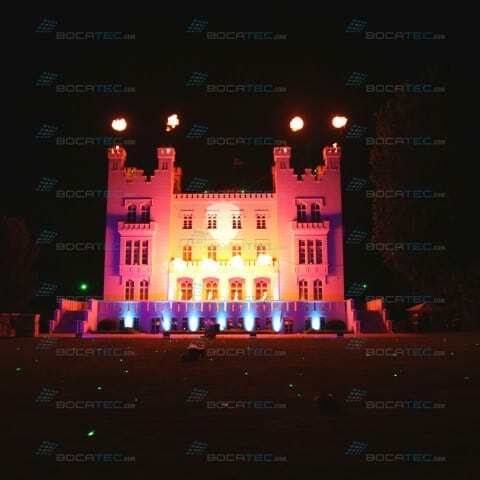 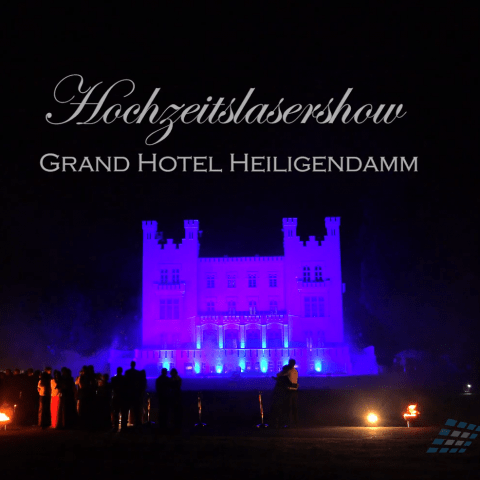 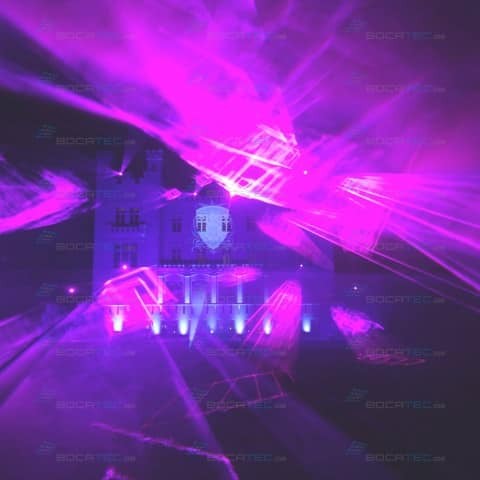 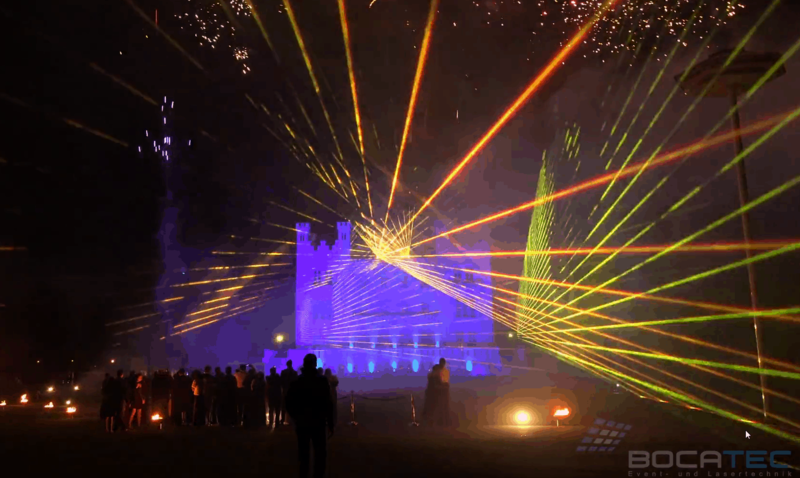 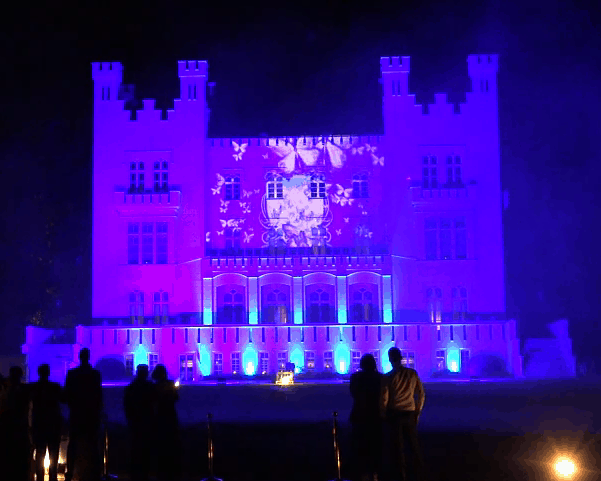 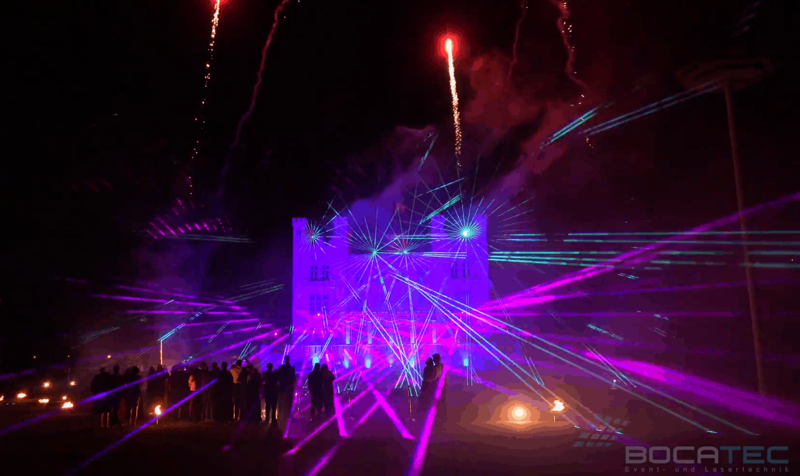 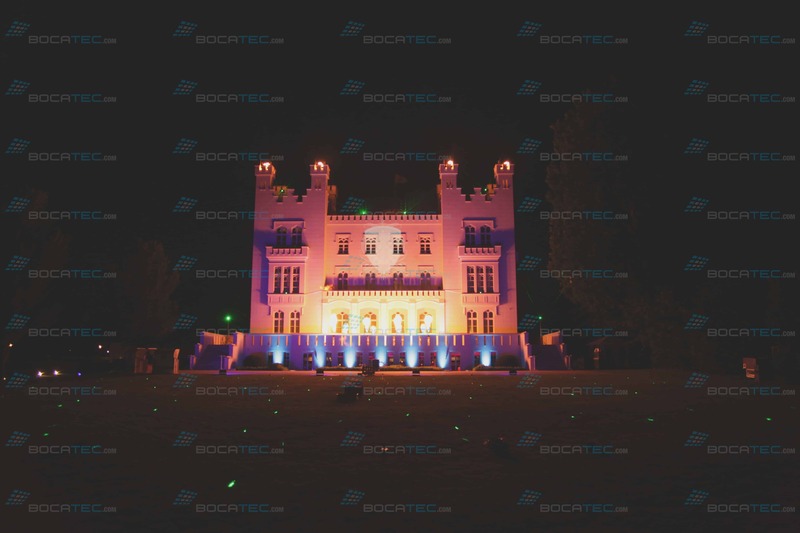 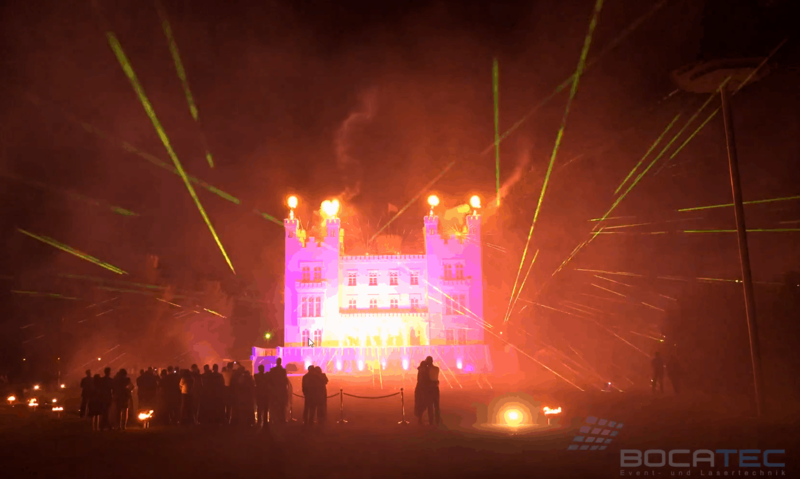 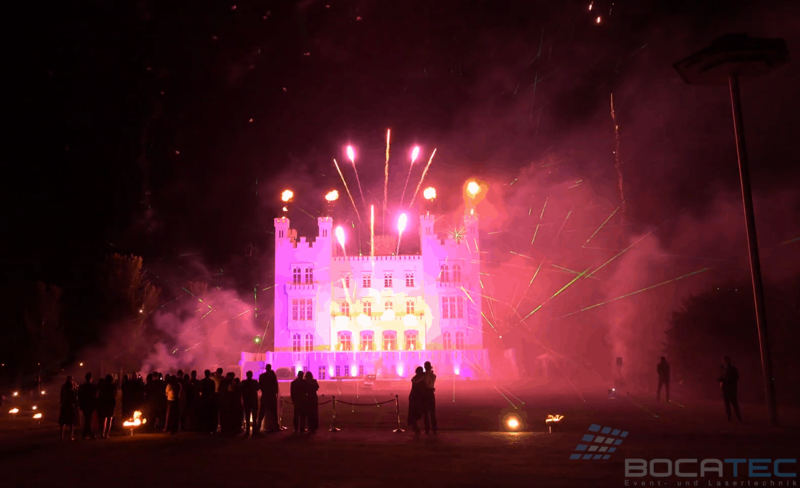 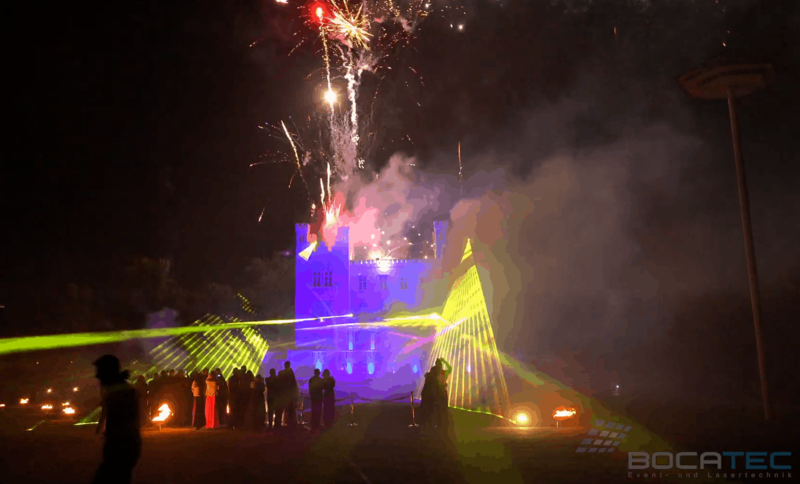 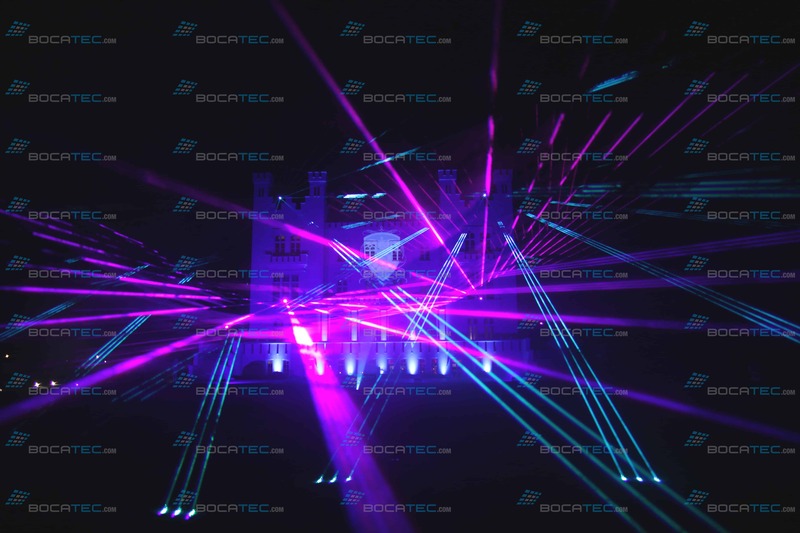 Bocatec illuminated the facade of the castle of the Grand Hotel Heiligendamm and staged a dreamlike marriage laser show with fireworks and video projection. 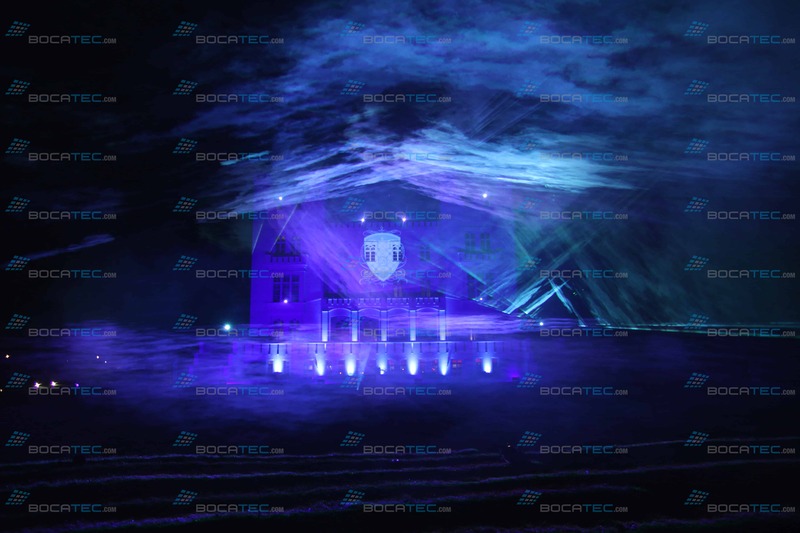 Such a beautiful and outstanding wedding location with style is really predestinated for an overwhelming multimedia show. 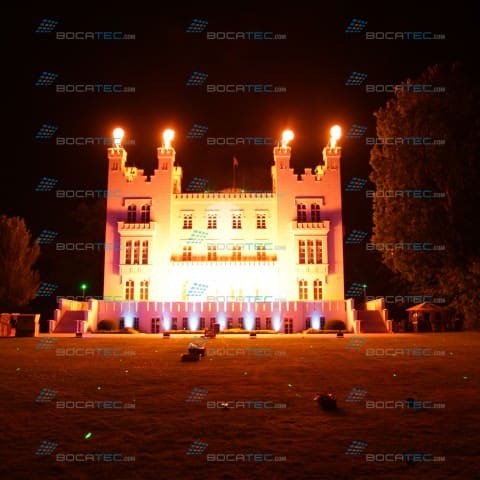 The casle on the ground of the Grand Hotel in Heiligendamm blazed fantastically and romantically in pink thanks to Bocatec. 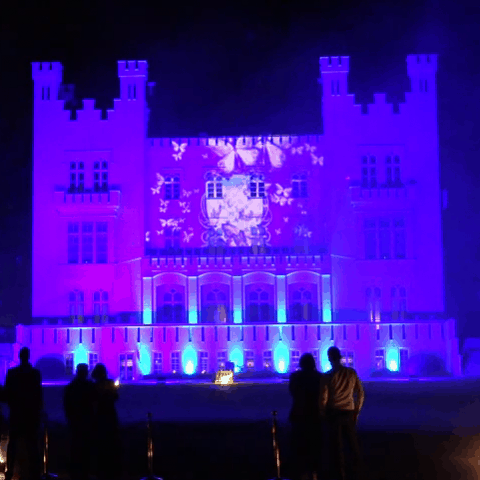 Butterflies fluttered over the face and atmospheric music got the heyday guests into the right mood for the 7-minute show. 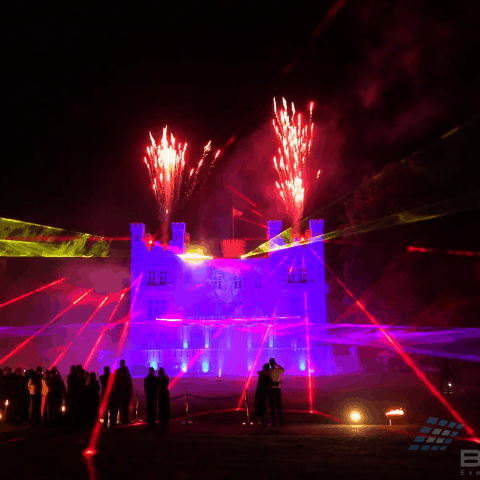 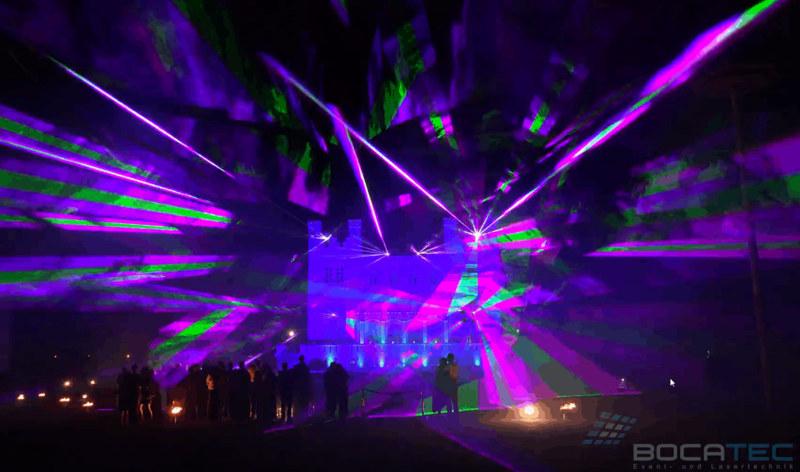 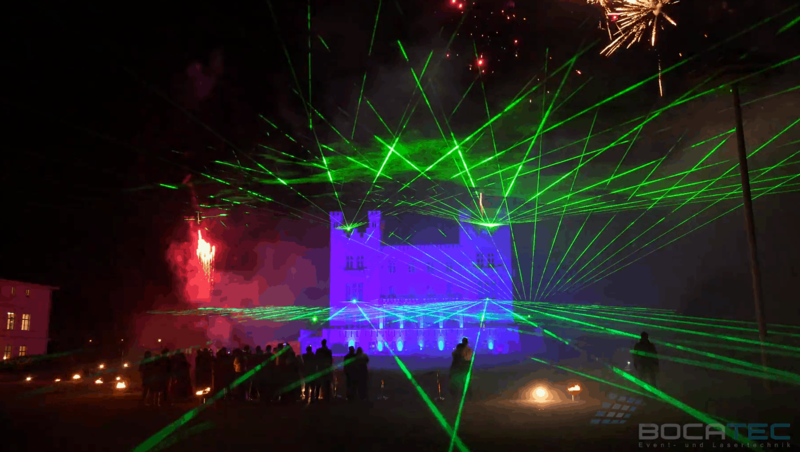 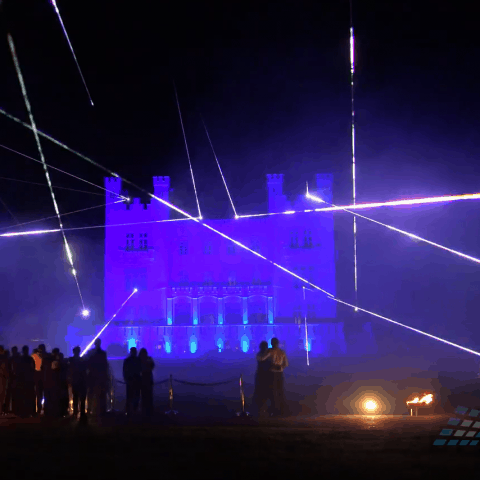 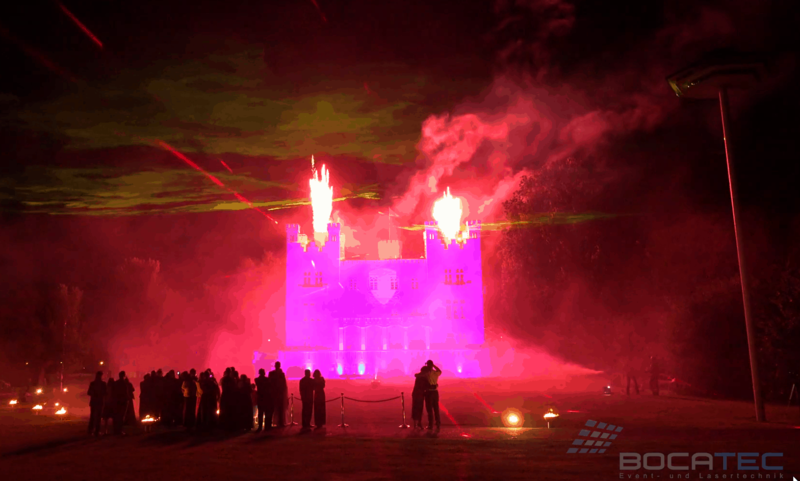 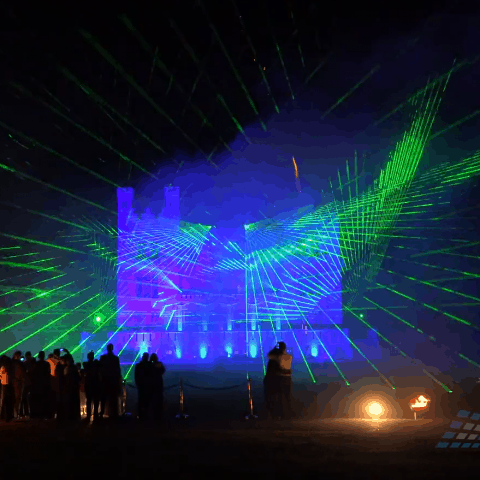 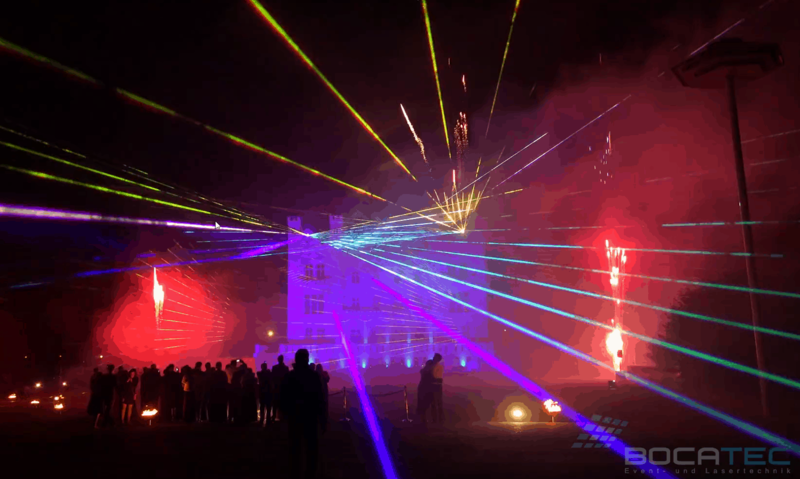 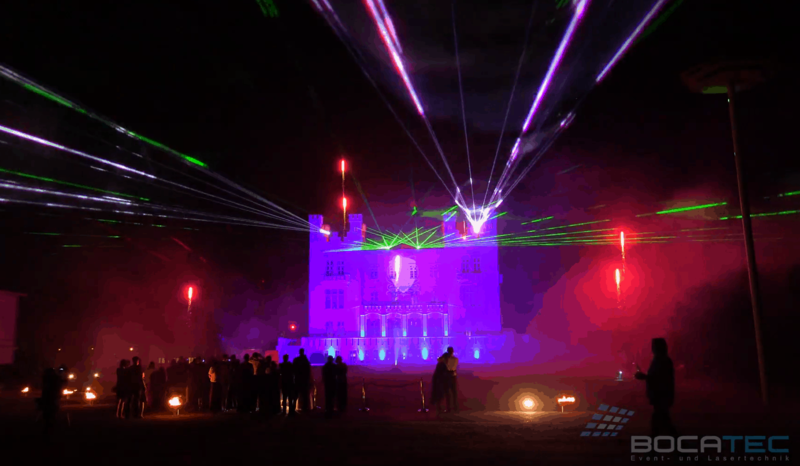 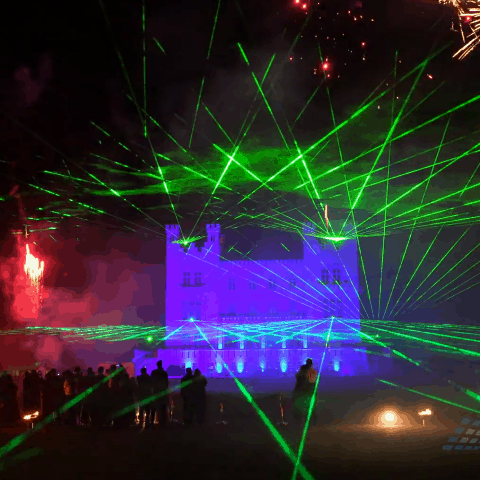 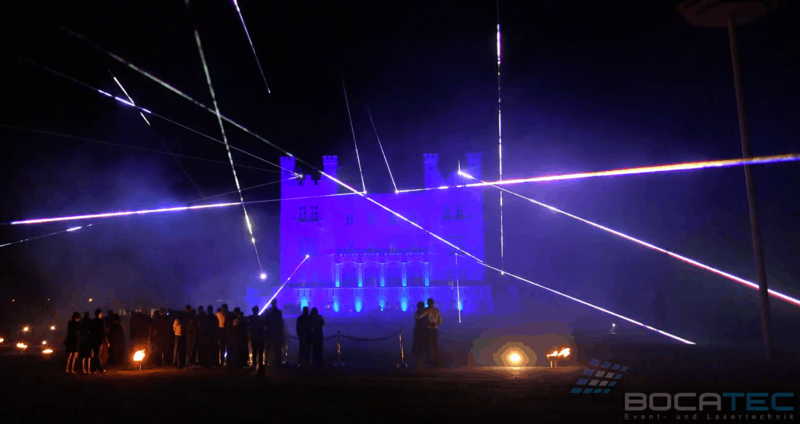 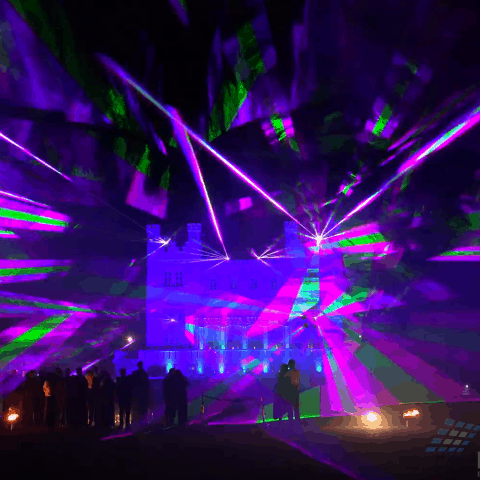 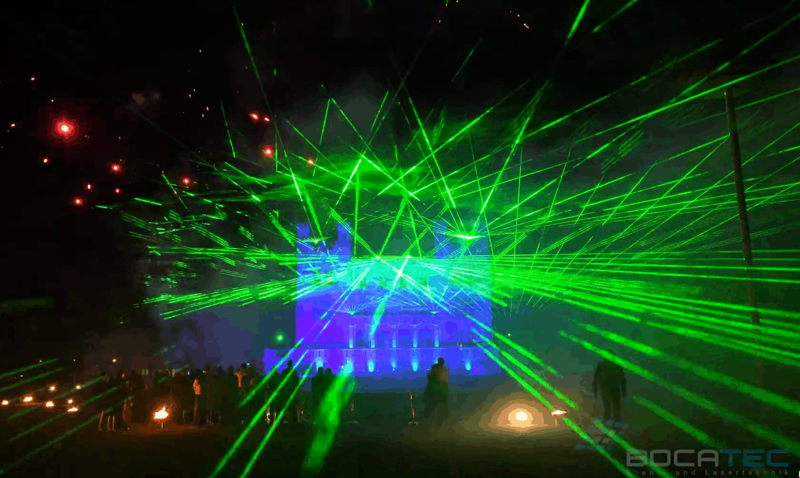 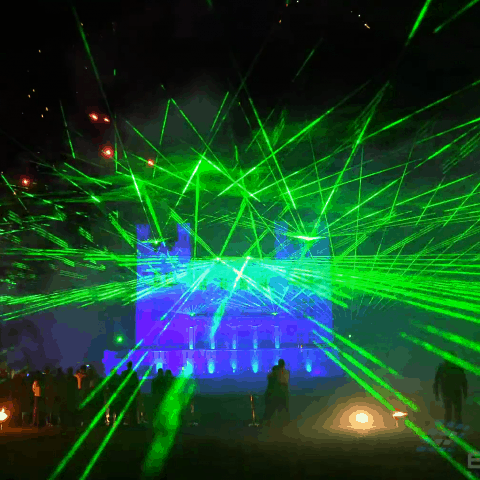 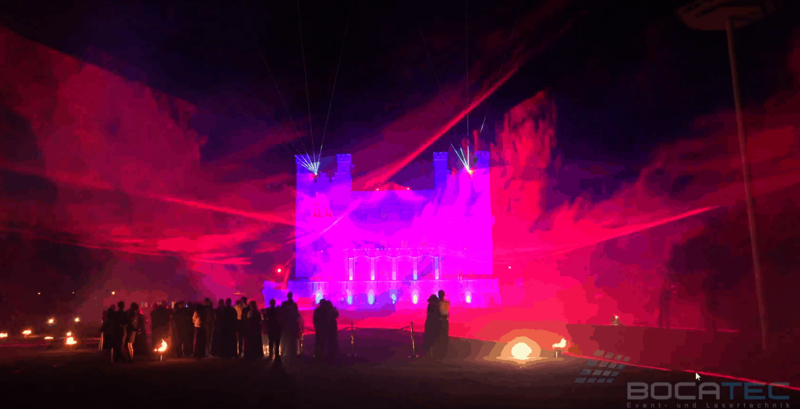 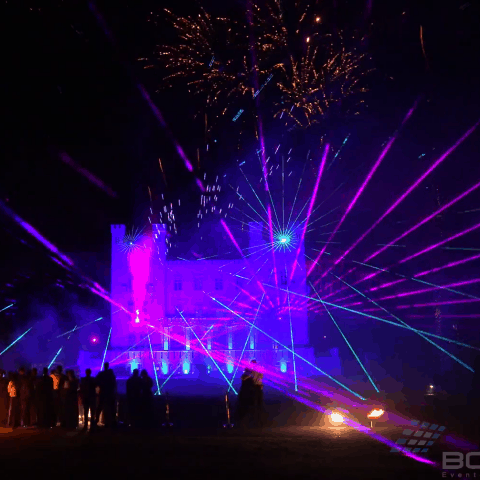 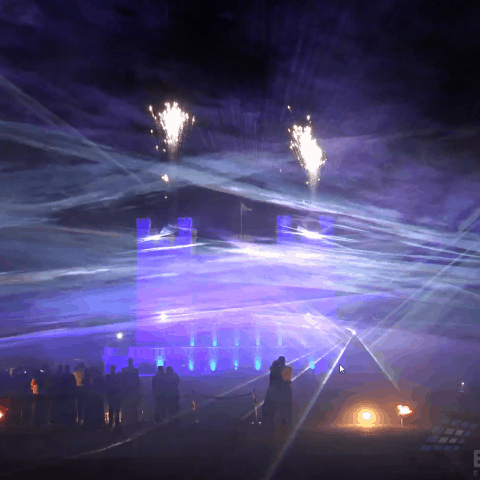 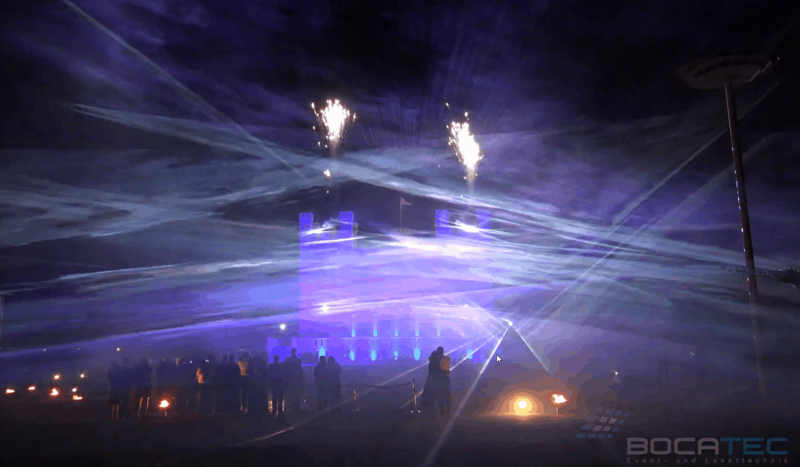 Then the 150 watt laser power started and colored laser beams flickered from the facade towards the spectators. 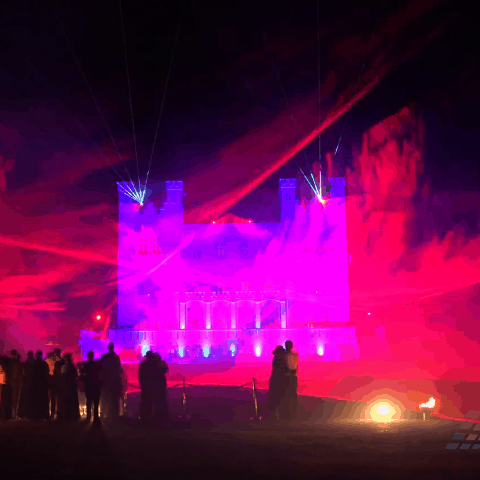 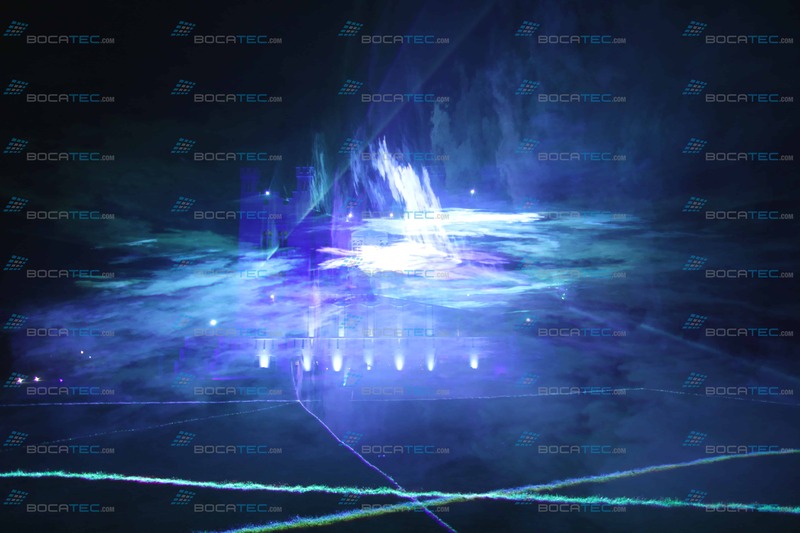 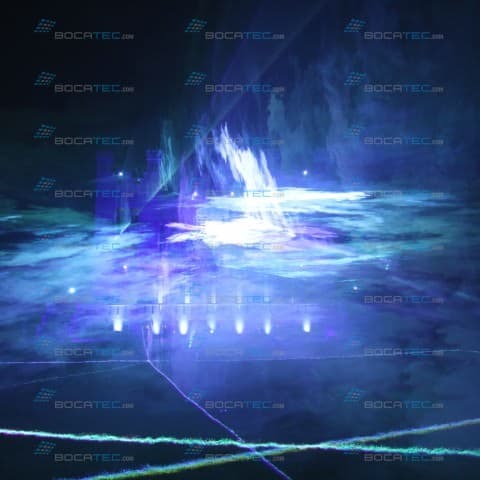 Fanciful and colored laser formations and shapes changed with fervent effects of the12 flame projectors. 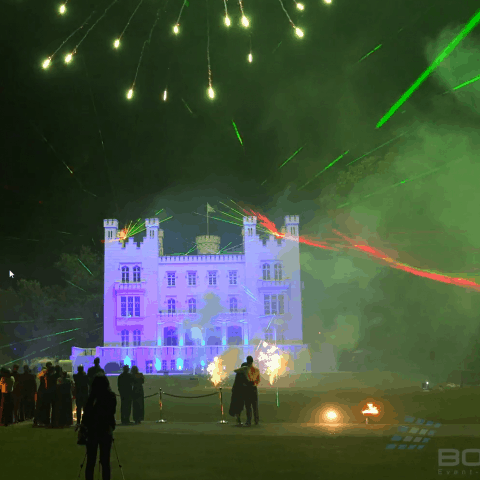 Above all of this firecrackers rose up into the night sky and creative pyro effects made the crowd marvel. 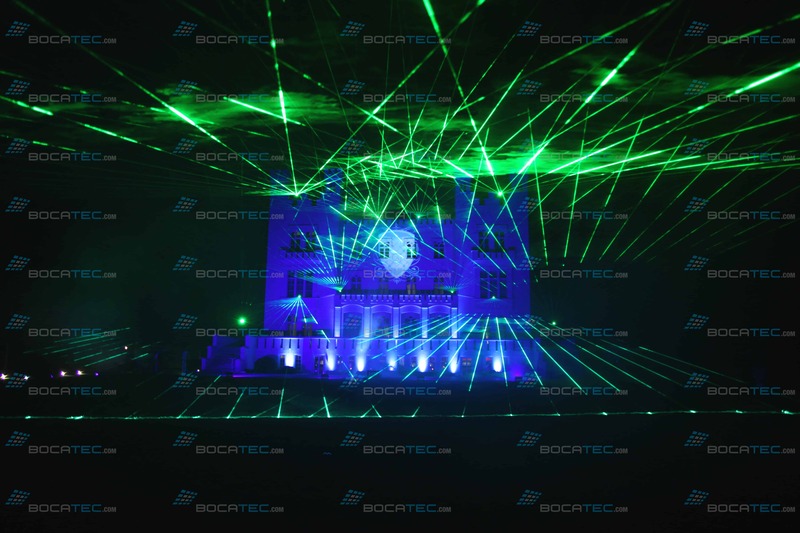 Of course Bocatec also brought enough fog equipment for the zenith event to restage the laser beams right. 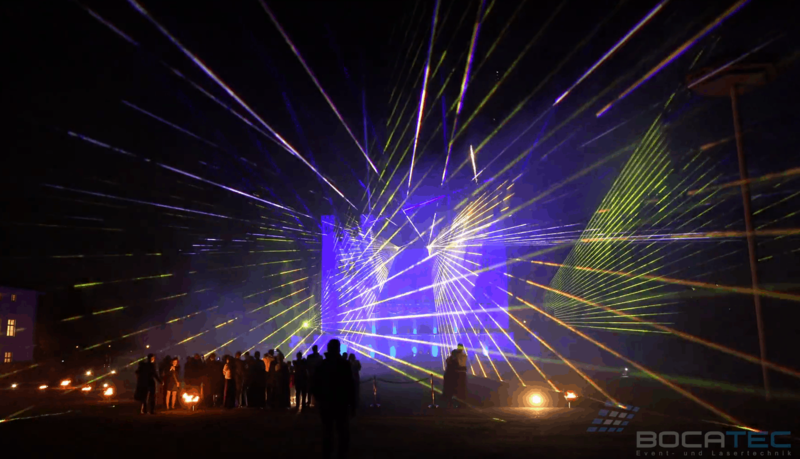 Several LED outdoor spots set a course. 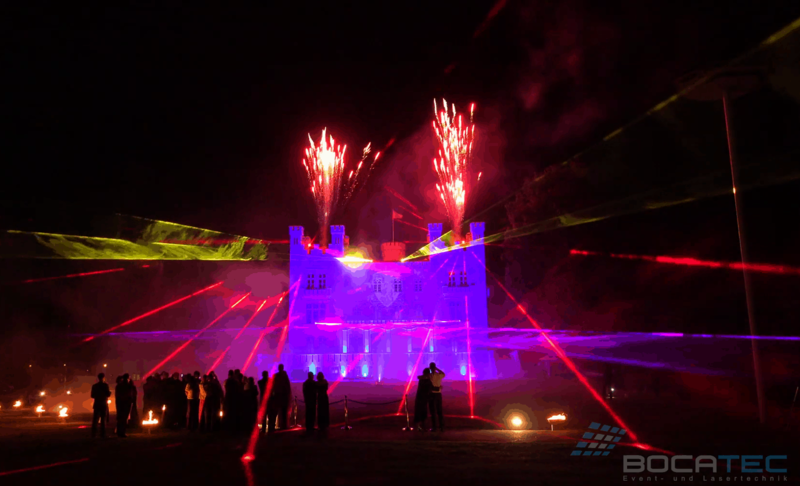 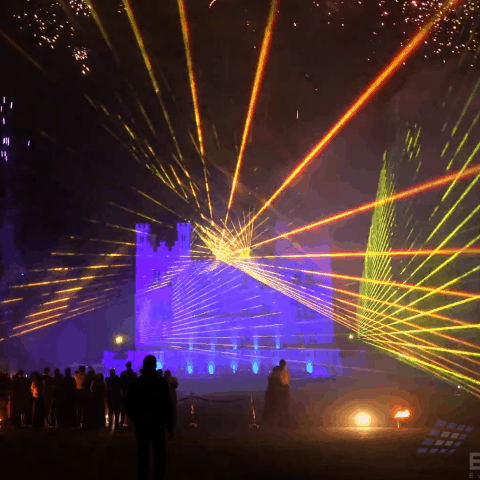 From romantic to party-ready the show music and laser effects varied in order to load up the revelers. 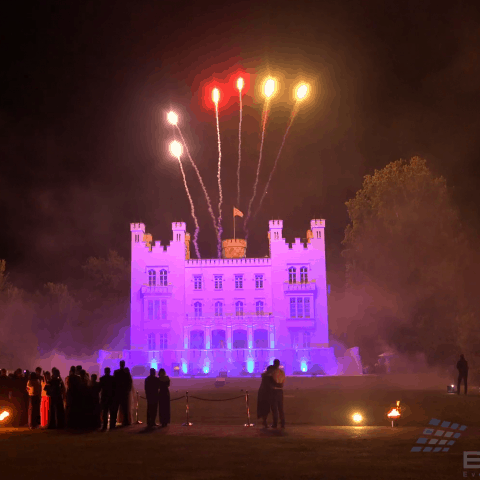 The castle wedding guests and the engaged couple were more than thrilled, the expectations about the “most beautiful day in lifetime” were even outmatched. 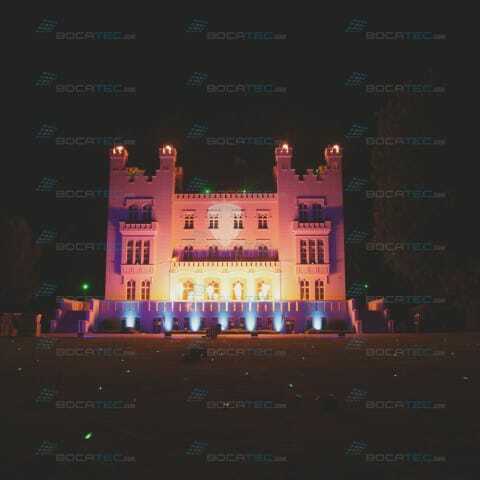 This dream wedding like from “1000 and one night” will be kept in good memory not only by the bewedded.